What did you find meaningful about your work today? I know hard-driving sales managers who consider this type of question “soft” or even “corny.” But I challenge them—and you—to consider what might be different at Wells Fargo had managers asked such a question. What makes asking about meaning so crucial? 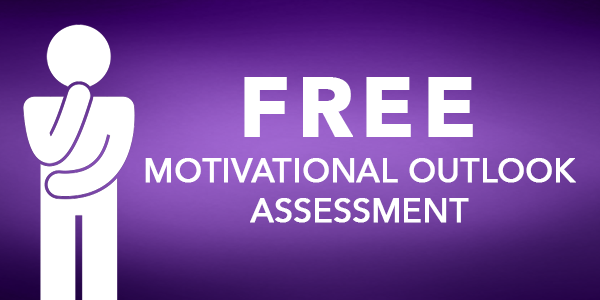 People produce higher-quality and sustainable results when all three of their psychological needs for autonomy, relatedness, and competence are satisfied. When one need is undermined, people either languish or act out. They act out through their disengagement and doing the minimum amount of work required to get by. They act out through sabotage, theft, or cheating on reports. They act out by opening bogus accounts to meet the pressure of making their numbers. Can you tell me about a recent client interaction where you felt especially helpful? How did you make a positive difference in someone’s money management today? What’s an example of how you lived our values today? These questions prompt conversations focused on the second psychological need for relatedness—people’s need for authentic relationships at work and a sense of meaning, purpose, and belonging. Leaders are in a position to help people fulfill these needs through the workplace environment they create—and especially through the questions they ask. People are less likely to get sucked in and undone by the pressure and tension of externally-focused sales teams when their psychological need for relatedness is being fulfilled. 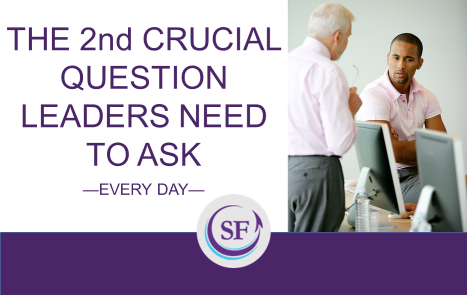 After asking crucial questions, leaders can further demonstrate they care through proactive listening and asking questions to build upon the stories and examples they hear. These conversations are not meant for the leader’s understanding, but to prompt employees’ mindfulness about what makes their work worthwhile. Managers can still be concerned about goal achievement. How many calls did you make today? How many depositors did you sign? But, asking results-focused questions while not asking the second crucial question to help people explore what they find meaningful, helpful, valuable, or purposeful about achieving those results, is risky business. The irony proven through motivation science is this: Focusing on results is the least effective way to generate results. When you focus on what you want from people you get less of what you want. But, when you focus on what you want for people, you foster their sense of relatedness. 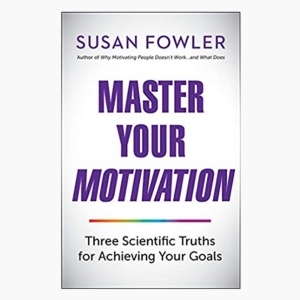 Compelling evidence demonstrates that when people elevate the reasons they are motivated to do what they do at work, they also elevate their results. That may sound “soft,” but the results are anything but.